What’s at stake in space for 2017-18? Over the next two years we will be facing some significant challenges and some opportunities–suborbital space tourism will be come a reality; multiple companies will demonstrate the ability to transport astronauts to and from the ISS; private companies will continue to pursue missions in space, including putting up commercial space stations, satellite servicing and maintenance, landing rovers on the moon and even launching spacecraft to Mars–and eventually, the FAA will partner with DoD in creating a civil space traffic management system with the objective of enhancing the safety of space operations and preserving the space environment. 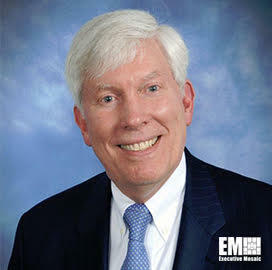 Dr. George Nield, Associate Administrator for Commercial Space Transportation (AST) for the Federal Aviation Administration is a name to know, as someone that will surely take space travel to the next level. The FAA has shown their authority over commercial space transportation activities since 1995, when the Office of Commercial Space Transportation (AST) was established and the Secretary of Transportation was delegated some authority over to the FAA administration. FAA policy for commercial space transportation is primarily guided by the Commercial Space Launch Act (CSLA), the National Space Transportation Policy, and the National Space Policy. The CSLA gives the FAA the power to oversee public safety and to issue regulations, however as they see fit. Nield stated in his 2016 address before the House Committee on Transportation and Infrastructure and the Subcommittee on Aviation that the FAA’s track record has proven time and time again to be beneficial (if not imperative) to both the aerospace industry and to the American people. In his speech at the 20th Annual Commercial Space Transportation Conference Nield said he was pleased when the House and Senate iterations of a FY2017 appropriations bill that approved a $2 million increase for AST to climb to $19.8 million, included in the overall FAA budget request. The increase in budget, as Nield and other advocates in the industry have argued, is paramount to keeping pace with the rising tide. Dr. Nield is man of science, an architect of future operations of space flight–we need men like him to take us to new heights, to peer into the blackness of space and feel weightless against the great immensity of the final frontier. Associate Administrator Nield will be addressing the Potomac Officer’s Club as a keynote speaker at the 2017 Space: Innovations, Programs, and Policies Summit to be held Oct. 18, 2017 at the Ritz-Carlton Tysons Corner in McLean, VA.